Light comes in aluminum case. Outer package is a carton box. 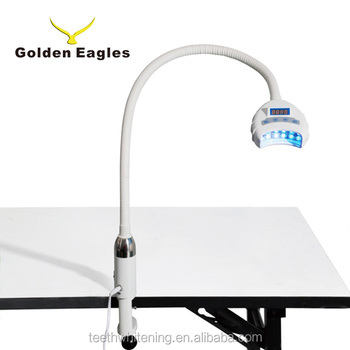 Golden Eagles is proud to present our EA-5 teeth whitening light. Experience a breakthrough in teeth whitening with a new, ultra-modern teeth whitening light. Combat stained and discoloured teeth, with the EA-5 teeth whitening light, calibrated to offer the best results in activating teeth whitening gels. Say goodbye to stained teeth with a professional LED teeth whitening light, and hello to healthier, whiter teeth. The EA-5 offers a wonderful balance of professional teeth whitening, with affordablility. Made from full aluminium, which is light weight, strong and symbolises quality. * Full aluminium bodywork, no plastic! 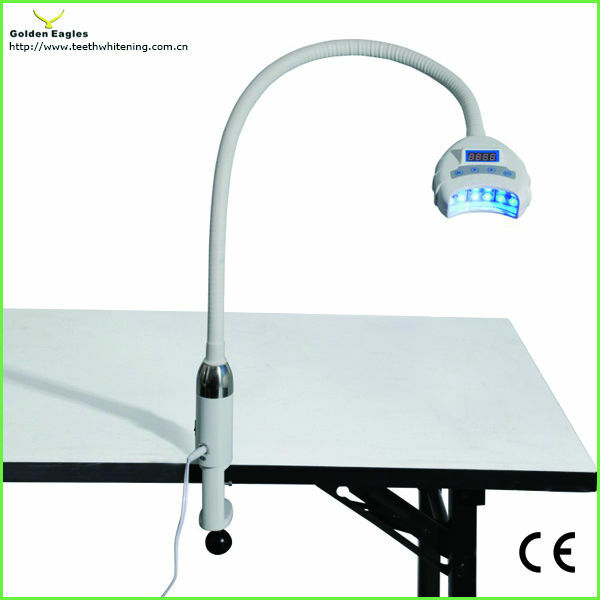 * Powerful LEDs, with a guarantee of 20,000 hours. * Full heat-syncing and fan, for no downtime and maximum reliability. * Produced fully by Golden Eagles, a Medical Licensed factory. * International warranty as standard. Using the EA-5 teeth whitening lamp couldn't be easier, simply plug the device in, power on the unit with a flick of a switch, adjust the time and hit play – then sit back and immerse yourself in a full, professional teeth whitening experience. If you need more information on our teeth whitening lights, then please feel free to let us know. We produce over 19 different OEM teeth whitening lamps, which makes us one of the biggest produces of teeth whitening devices in the world. So, if you're ever thinking of buying, developing or making new teeth whitening lights, we're the one's for you.